With the sensitivity of the Sony a7S reaching up to an ISO of 409600, the camera itself has had some pretty high expectations to live up to. Just recently, Photographer Yosh Enatsu took the a7S out for a test run and uploaded some results showing what the camera truly can be capable of. Considering the a7S doesn’t have its own internal 4K codec, the shots were done through a setup utilizing an external Blackmagic converter. 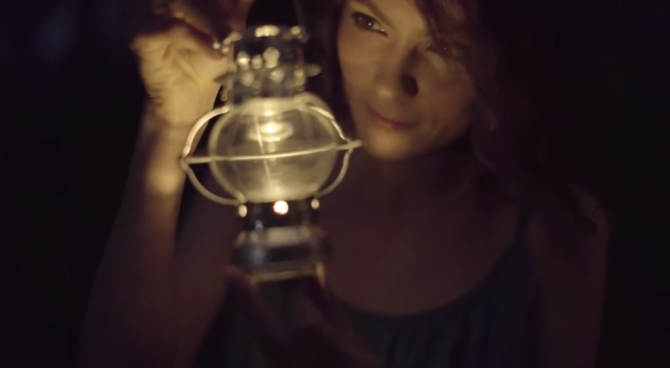 Filmed in the middle of the night, the final two videos we see paint an impressive image of what the a7S can do. 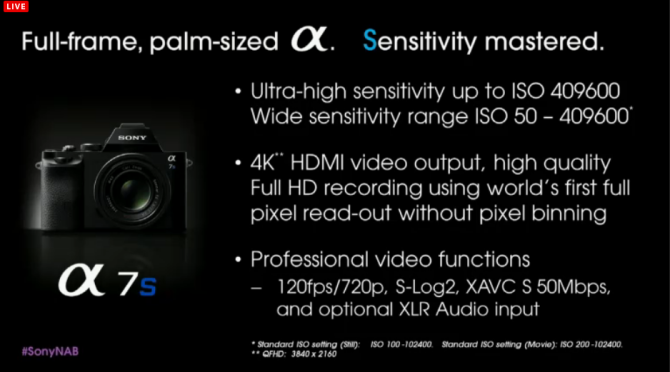 Sony’s announced the pricing and availability for the a7S, a camera recently unveiled at last month’s NAB Show. The flagship camera is now available for pre-order at B&H Photo Video for a price of about $2500, which is significantly less than what most of online media had been predicting earlier on ($3500, to be exact). Pre-order or not, you can grab the a7S when it’s officially released in July. Aside from the pricing announcement finally coming out for Sony’s new DSLR, the company also decided to bring in the third entry to their RX100 series: the Mark III. At their NAB Show today, Sony made certain that ‘4K’ would be their hot word for audiences to catch on to. It’s what came up on the screen as the live stream even began, and continued to be spoken about for its presence in medicine, business, filmmaking, and consumer use. Sony made sure that 4k touched every single topic they covered. One of those topics was the company’s announcement of the full frame Sony A7S, a camera introduced at the end of the segment that we’ve been anticipating for a while now.